If you have seen the previous iPhone 6 Box as a ‘leaked image’, throw it out of your mind as it was a fake photo. But here we have something that most likely aligns with the release of the upcoming iPhone 6. The picture below shows a small card that allegedly will come inside the Apple boxes which would serve as a manual for the iPhone. 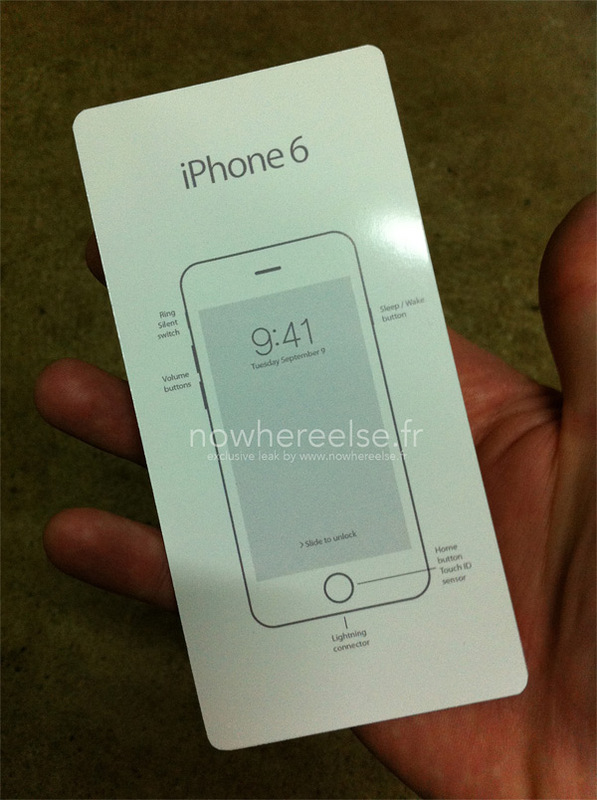 The card shows the outer anatomy of the iPhone 6 and the button placements with their functions. Apart from the power button being moved to the side, the touch ID, also the Home Key, is still at the same place. Although the card doesn’t show what dimensions the devices will be coming in, we can deduce by seeing the picture that it would most likely have a larger screen than before. Also, if you notice, the date September 9 has also been mentioned which is alleged to be the next iPhone release date. For more on what we know on the iPhone 6 click here.